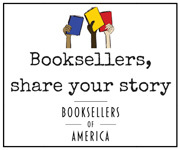 The American Booksellers Association is committed to ensuring digital accessibility for people with disabilities. We are continually improving the user experience for everyone and applying the relevant accessibility standards. Including accessibility throughout our internal policies. Providing continual accessibility training for our staff. The Web Content Accessibility Guidelines (WCAG) defines requirements for designers and developers to improve accessibility for people with disabilities. It defines three levels of conformance: Level A, Level AA, and Level AAA. BookWeb is partially conformant with WCAG 2.0 level AA. Partially conformant means that some parts of the content do not fully conform to the accessibility standard. We try to respond to feedback within two business days. Despite our best efforts to ensure accessibility of BookWeb, there may be some limitations. Below is a description of known limitations, and potential solutions. Please contact us if you observe an issue not listed below. Some videos: Some videos may not have captioning because the captions are not complete or the video display software on some videos does not accommodate captioning. The captions are being created and the video display software is being updated by the vendor. Caption files will be made available as separate text files when available. This statement was created on 04/11/2019 using the W3C Accessibility Statement Generator Tool.